Paradoxically, although Clomiphene Citrate is a synthetic estrogen it also works as an anti-estrogen. The reason is that Clomiphene Citrate has only a very low estrogenic effect and thus the stronger estrogens which, for example, form during the aromatization of steroids, are blocked at the receptors. These would include those that develop during the aromatizing ofsteroids. This does not prevent the steroids from aromatizing but the increased estrogen is mostly deactivated since it cannot at-tach to the receptors. The increased water retention and the possible signs of feminization can thus be reduced or even completely avoided. Since the antiestrogenic effect of Clomiphene Citrate is lower than those found in Proviron, Nolvadex, and Teslac it is mainly taken as a testosterone stimulant. 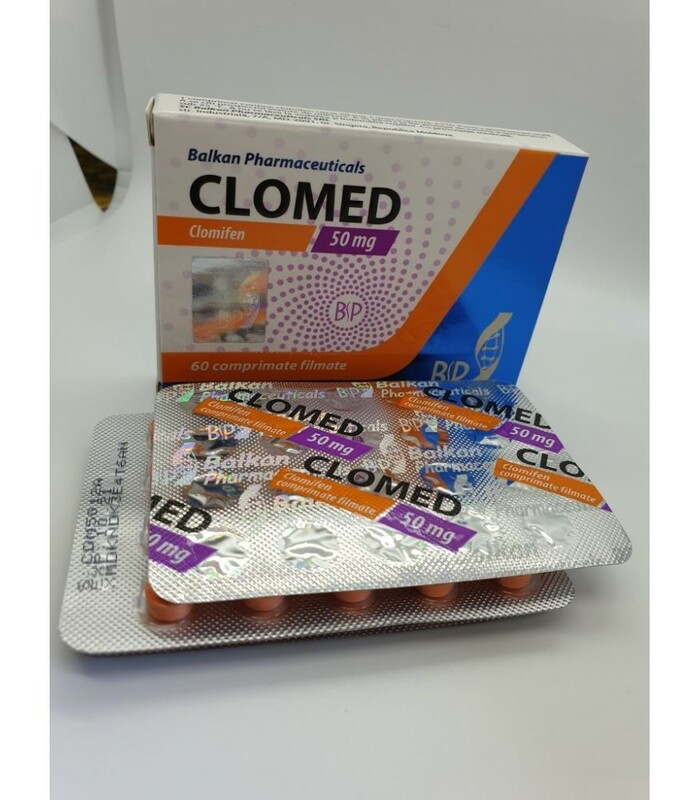 Clomed is a medication that promotes the production of the body's own stimulating hormone, gonadotropin, which in turn increases the testosterone level. It is, for example, administered to women as a so-called anti-estrogen to trigger ovulation ("ovulation stimulator").